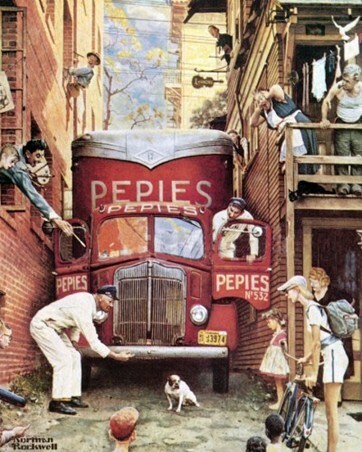 Art Poster Card: This charming painting of a young boy meeting an adorable dog for the first time is by American Painter and Illustrator, Norman Rockwell. 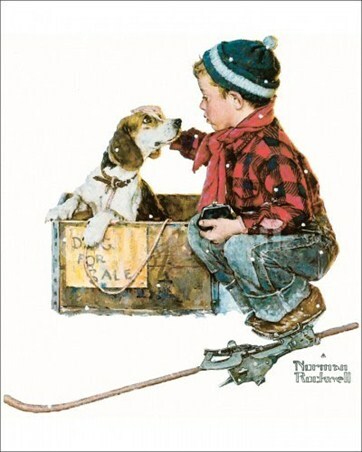 Known for his beautiful illustrations of everyday life, it is no wonder this simple meeting of boy and future companion is so simply elegant; with snow floating in the sky, the youngster dressed in cozy, wooly clothes, and the loveable beagle enjoying some attention, this heartwarming poster card is sure to add some affectionate warmth to any room. 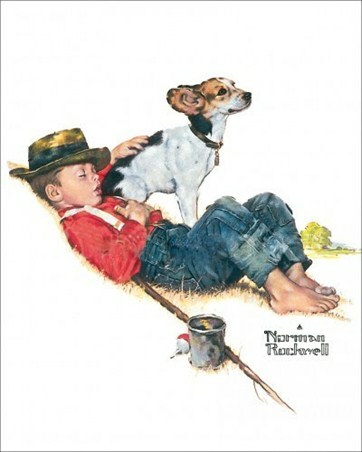 High quality, framed Boy meets Dog, Norman Rockwell poster card with a bespoke frame by our custom framing service.